When Do You Take Your SATs? Where Can You Take the SATs? What about SAT Late Registration? Can I Reschedule My SAT Date? As soon as you start thinking about college, you probably also start thinking about entrance exams. You may be deciding between the ACTs and the SATs or you’ve already decided on the SAT. Most of your thoughts have probably gone into the test itself and what you need to learn to be successful. 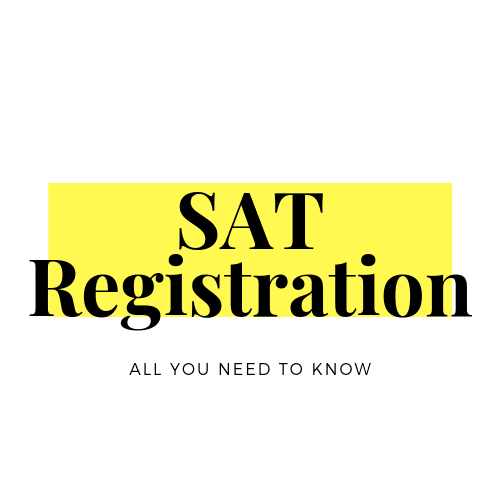 But you may also wonder about the logistics, including how to sign up to take the SAT, where to register to take the SAT, and when to take it. While you can take the SATS any time starting your freshman year of high school, most students will wait until the spring of their junior year. Taking the SAT in the spring of your junior year is recommended to give you time to further prepare and retake it if necessary. If you don’t achieve the score that you are looking for the first time around, you can take an SAT prep course, and then retake the SAT in the fall of your senior year. If you are interested in an SAT prep course, and want a discount, take a look here. If you are curious about what a good score is, take a look here. While this is the norm, when you take the SAT depends on you. You should take the time to think about your schedule and other commitments that might get in the way of preparing for the SATs. Choosing a date in advance that will allow you to prepare adequately will make the college application process and the SAT much easier. The SAT is administered in August, October, November, December, March, May, and June, so you have seven opportunities to take it each year. For 2019 and future SAT test dates, take a look at the College Board’s test calendar. The College Board’s Test Center Search will help you determine the best place to take the SAT. Once you’ve determined when to take the SAT, you can go to the College Board’s website, and choose your location. You can take the SATs at thousands of locations across the world. Most of the time, you will take the SAT at your high school or another high school or college near you. Once you register, you will be given more detailed information about the precise location on campus to take the SATs. If you can’t find a location near you, call the College Board’s customer service at 866.756.7346. 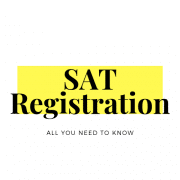 Now that you’ve determined when and where you are going to take the SAT and have set up a course or a study schedule, it’s time to register to take the SAT. You can either register online or by mail. Keep in mind, that the College Board has SAT registration deadlines, usually three or four weeks before the test date, so be sure to plan well enough ahead to get the test date that you want. Take a look at the College Board’s calendar for registration deadlines. First, you need to sign up for a student account at the College Board. You will need to provide the College Board with information about you and a parent or guardian in order to register. It is important that you complete the signup sheet accurately because this information will be used to confirm your identity on test day and must match the information on your identification. Once you have an account, you will have access to SAT registration and information. Keep your login credentials handy because after the exam, you will find your scores and performance information here. You will also use the College Board to send your score reports to your desired schools and potentially find financial aid opportunities. Once you’ve signed up for an account, you will start your registration. The process takes 30 to 40 minutes, so make sure you have enough time to complete the information. There are a few things to gather and know before you start the registration. Make sure that you have a valid photo. You will be asked to upload a picture that will become part of your admission ticket. The photo must show only you, with your head and shoulders facing the camera. Nothing, like a hat or sunglasses, should cover your face or head. It should be a good representation of you, and how you will look on test day. It should also not be fuzzy or out of focus, with shadows or reflections on your face. For more information, take a look here. You will also need to have your payment ready. You can use a credit card or PayPal, or if you are eligible, you can get a fee waiver. You can get a fee waiver from your high school counselor. Find out if you qualify here. If you would like to pay by check, you will need to register by mail. Lastly, you need to know if the colleges you plan to apply to require an essay, as you will need to sign up for the essay when you register. Once you’ve gotten everything you need, start the registration process. You will confirm that your basic personal information is correct. Be sure that you are accurate because you cannot change the information once you’ve registered. After you’ve filled out your personal and academic information and agreed to the College Board’s terms and conditions, you will choose the test date. Make sure you choose correctly because you are unable to make changes after the late registration deadline. The fee to take the SATs is $47.50. If you are registering late, there is a $29 late fee. If you need to take the essay, it is an additional $17. 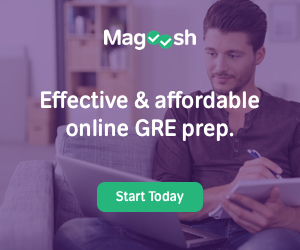 You also have the option of adding a question-and-answer service, which provides you with a more detailed report of your test performance, including every test question with your answer and the correct answer. On the next page, you will upload your photo. For now, don’t worry about how to upload a photo for SAT registration, as there are detailed instructions on the best way to do this on the registration site. You are able to use a digital photo or scan a hard copy. You will be able to crop and reposition your photo after you have uploaded it. Make sure your photo matches how you will look on test day, or you may not be admitted to the test center. After you have successfully entered your profile information, chosen a date and location to take the SAT, and uploaded your photo, you will be asked to once again confirm that all of your information is correct. As you are checking out, the College Board gives you the option of adding SAT practice and reference materials. Once you reach the checkout page, you have twenty minutes to finalize your registration and pay the SAT registration fee. You can enter either your PayPal information or a credit card. If you want to pay by check, you will need to register by mail. After you take the SATs, your score information will be stored at the College Board. From your account, you can send score reports to colleges and view score performance reports. Some students prefer or require a paper registration. If you are requesting a closer test center, a Sunday test date, need to pay by check or money order, are under 13, or are unable to upload a digital photo, you need to register for the SAT by mail. You will need a registration form and a student registration booklet, which you can get from your counselor. You will then mail your registration to the College Board. It must be postmarked by the SAT registration deadline. For more information on registering by mail, click here. After you register for the SAT, you will get an Admission Ticket. You will be prompted to print it when you finish your SAT registration. It will show your name, your picture, and other information that you’ve given the College Board. You must bring this with you on test day, along with a photo ID. If you don’t print it right away or if you misplace it, you can log back into your College Board account to reprint it. If you registered by mail, you can still view and print your Admission Ticket online from your College Board account. You can also request a paper ticket. For more information on the Admission Ticket policy and other regulations, take a look at the College Board’s Policies and Regulations page. If you’ve missed the first deadline to register for the SATs, there is a late registration deadline as well. It is usually about ten days before the test date. There is a $29 late SAT registration fee that is added on to the price of the test. If you missed the late registration deadline, you will have to sign up for the next available SAT date. Yes, you can reschedule your SAT test, as long as you do so by the change deadline printed on your admission ticket, usually two weeks before the original test date. You can reschedule online from your College Board account. 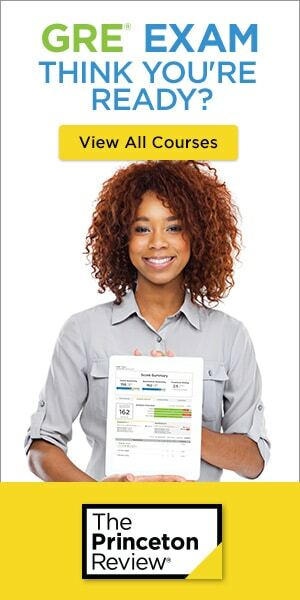 If you missed the deadline, call the College Board’s customer service number at 866.756.7346. It is not guaranteed that you will be able to reschedule, but they may be able to help you. There is a rescheduling fee of $29. There is a lot of anxiety surrounding the SAT. Don’t let SAT registration be part of that. Register early, prepare yourself and make sure you are ready when your test day comes around. Print your Admission Ticket, bring your photo ID, pencils and calculator, and head to the test site early. Make sure you give yourself extra time to park and check in. And, good luck!